Designed as a replacement for the S.IV basic trainer, the Fokker S.IX was suitable also for aerobatic training. The S.IX was built in two versions. The first, designated S.IX/1, was powered by an Armstrong Siddeley Genet Major radial engine. First flown in 1937, the type was used by the Netherlands army air force from 1938 to 1940 as a standard basic trainer, and a number of S.IX/1s were built by the Dutch manufacturer Kromhout. The Aviation Department ordered 40 S.IX, which at first were fitted with 125 h.p. Le Rhone-Oberursel engines. In 1926-1927 these were replaced by 148 h.p. Armstrong-Siddeley Mongoose engines. The first batch of 20 was delivered but for one, and a number escaped to France in May 1940. The second version, designated S.IX/2 was powered by a 125kW Menasco Buccaneer inline engine. A total of 27 S.IX/2s was ordered for the Netherlands navy air force, but only 15 had been delivered when production was terminated by the German invasion. 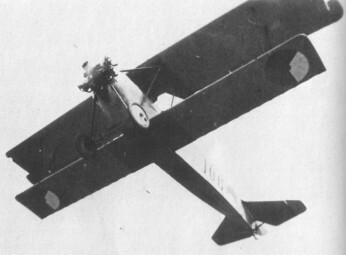 Army orders for the S.IX/1 totalled 24, but there is some uncertainty about whether or not all of these were built and delivered, for, according to Fokker records, only 20 were completed. 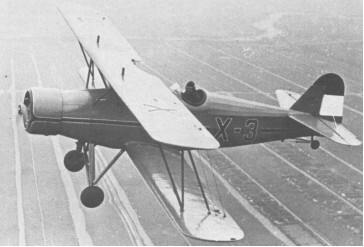 Like many lightplanes used in service training schools, in the desperate circumstances which existed at the time of the German invasion the S.IXs were called upon to carry out roles for which they had never been intended, and S.IXs of both services were in use for liaison and evacuation duties until the end of Dutch resistance. Fokker built three S.IX/1s after World War II had ended, these being powered by Kromhout-built Genet Major engines.